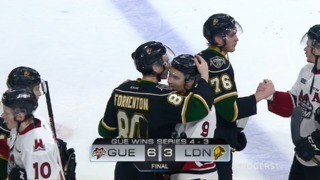 The London Knights piled up the offense for the second night in a row, beating the Owen Sound Attack 7-2 on Friday night at Budweiser Gardens. 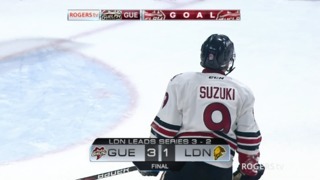 London netted seven goals on Thursday in a win over Mississauga and now have 34 in their last six games, but any kind of scoring was awfully tough to come by for the first 30-plus minutes. The teams passed the halfway mark and the game was scoreless. Adam Boqvist broke that ice and the game’s defensive complexion melted away from there. 14 of the 18 London skaters hit the score sheet. Jordan Kooy stopped 33 shots and earned his ninth victory on the season. The Knights have not lost since Oct. 19 when they were beaten 4-2 by the Oshawa Generals. They have won 11 in a row and have gone 13-0-1 in their last 14 games. Adam Boqvist scored his third goal in two nights at high speed in the second period to open the scoring after more than 34 minutes of hockey. 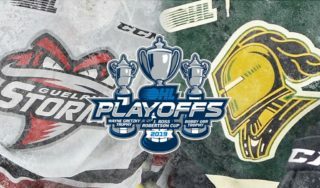 Liam Foudy sent Alex Formenton away into centre ice, Boqvist caught up and Formenton threaded a pass to the Chicago Blackhawks’ first-round pick for his fifth goal of the year and a 1-0 London Knight lead. 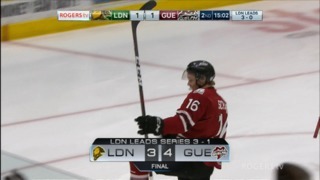 Foudy created the second London goal single-handedly as the Knights were killing a penalty later in the second period. Foudy’s speed allowed him to get to a puck behind the Attack net and he zipped back and forth, protecting it along the wall until he got a chance to put it in front where Foudy found Alec Regula. The Red Wings’ prospect beat Mack Guzda to make it 2-0 through 40 minutes. Boqvist’s second of the game on a power play put London ahead 3-0 just 1:05 into the third period. Just over four minutes later, Knights forward Billy Moskal ripped a wrist shot past Guzda to put London ahead 4-0. Kevin Hancock broke Kooy’s shutout bid at 8:14 of the third period, but that seemed to initiate an avalanche of offence the rest of the way. Alex Formenton set up Liam Foudy for his 10th goal of the year and then Jacob Golden set a puck on a tee for Alex Turko for his second and London was up 6-1. Zachary Roberts made it 6-2 scoring with under three minutes to play and then Connor McMichael completed the scoring with a tap-in at the side of the net, created by Matvey Guskov and Nathan Dunkley. The teams combined for seven goals total in the third period alone. A three-game goal-scoring streak has lifted Adam Boqvist into the top-10 in defenceman scoring in the OHL. Goal scoring has been a strength of Boqvist’s game much of his young life. The 18-year old scored 14 times for Brynas IF in the Sweish J20 league last season. He also had three goals in six games for Sweden at the Under-18 World Hockey Championship last spring. The Falun native now has five goals in his last three games. The Knights will play their third-to-last road game before the holiday break on Sunday when they visit the Windsor Spitfires. Windsor has spent much of the season situated around the .500 mark in the OHL standings, but they boast Michael DiPietro in net and some excellent firepower from their defence corps. London and Windsor have met twice already this year. The Knights won 5-2 on opening night at Budweiser Gardens. The Spitfires returned the favour on their home ice just under two weeks later when they blanked London 2-0 at the WFCU Centre.